Since 1991 the Veterinarians and support staff at Harlingen Veterinary Clinic have sought to achieve the highest standards of veterinary medicine. We feel that cats are part of the family, yours and ours. Our clients response to the care we provide is the strongest testament to the quality of care we provide for their cats. Harlingen Veterinary Clinic veterinary hospital offers preventative health care as well as advanced diagnostic and surgical services. Our commitment to quality service has lead our clinic to become well known and respected throughout the township. Since 1991 our clinic has been accredited by the American Animal Hospital Association. Naturally, as a cat grows and progresses through life, he/she will undergo physiological changes and face a variety of life events that will require care and attention. From kitten care to geriatric cat medicine, consistent preventive care can make all the difference in the quality of life of your cat. Ultimately your cat's health will impact your relationship with them. 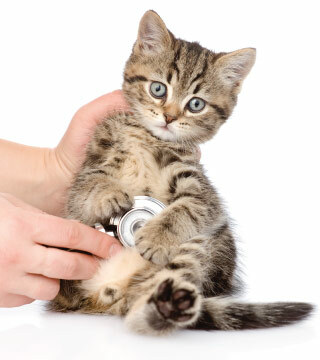 Our success as a cat clinic is a reflection of the health and happiness of our patients and clients. From preventive medicine to comprehensive illness and disease intervention, our cat clinic staff will ensure that your next visit to our cat clinic will resonate with care, respect, transparency and compassion. Schedule an appointment today.